As once listening to Annihilator and playing one old game, I thought: what if I make mountains hovering in space that will shimmer with the colors of the rainbow? As a result, having threatened for one year and one month to some extent, I realized what I had planned. It was difficult for me alone to do everything, and so I called for help TheSkyBug, who made weapons, some monsters, and a bunch of different trifles, and also ZZYZX, who made a new lighting system. Big thanks to them. 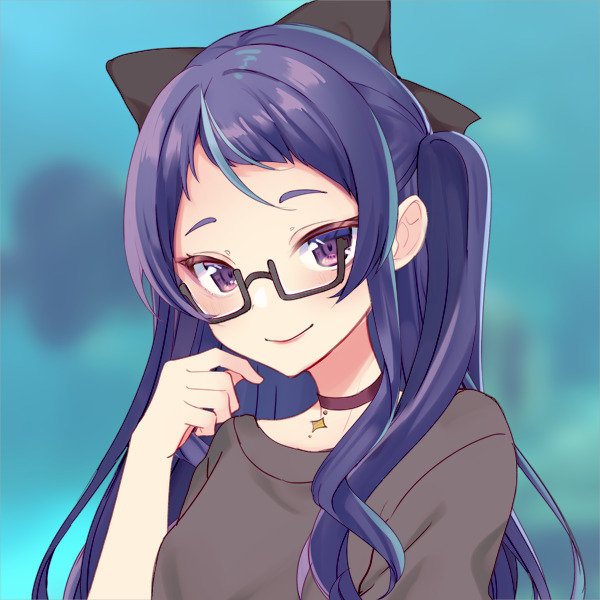 Also thanks to ChaingunnerX, DOOMGABR, Dagamon, VladGuardian and other people for help of various kinds - without you this wad would come out much later. 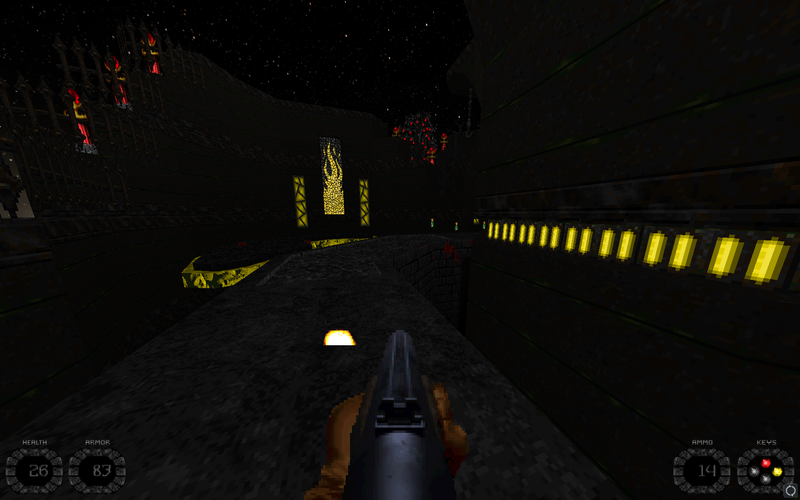 It's absolutely necessary to enable the OpenGL, it's very desirable to include the dinamic lights (well, some settings to them, so that they do not shine through the walls, and that looks bad) and Bloom, Sector Light Mode: Doom (if it's too dark, it's better to correct the contrast), jumps and squats are mandatory, tested in GZDoom 3.2, IWAD: DOOM2.WAD. In earlier versions of the GZDoom wad will not start, and in later versions it will not work correctly. Last edited by Serious_MOod on Tue Mar 05, 2019 9:56 am, edited 6 times in total. Those screenshots are incredible. Excited to try this later today. When screenblocks <=10 there is no HUD. Rachael wrote: When screenblocks <=10 there is no HUD. Last edited by Serious_MOod on Sat Nov 04, 2017 3:56 am, edited 1 time in total. It's more that some people like seeing the traditional hud instead of the bare-bones zoomed out one. Also, is this compatible with mods? I like the combination of colors in this map! Gonna try this is out. Would really prefer not to play at screenblocks 11. It's fine if it's still a "fullscreen hud" at 10, I just don't want to have to change to 11 just to play the mod. Alright, I played through it on Hurt Me Plenty. Probably gonna do UV later. *The map looks awesome. There are a lot of details. The level-design is very surreal, which I always enjoy. Sometimes, enemies are a bit hard to see from the distance, though. Especially Hitscan-Monsters or dark imps behind bars or similar lines. A few times, it took me a while to figure out where the thing that was shooting at me was. Like I said, I'm a big fan of the color-scheme. I generally like maps that work with intense colors and lights. "Killer Colors", Map31 of Alien Vendetta, is one of my favourite maps in that WAD for that reason. *The gameplay reminds me a of Quake. With button-sequences and their messages, plus the heavy use of 3D-Floors and Slopes. Also, since the maps are made for jumping, it makes the game feel a lot more dynamic. *The weapons feel strong and are nicely animated. The sounds are neat, too. Although I find it a shame that you only get to use the plasma gun for such a short time. *The enemies are fine. I liked the boss in the end: Challenging, but not frustratingly difficult. Sometimes, they leave behind those little fireballs. Is that intended? *The music makes this a very serene map. Makes it a lot more relaxing to play through. Overall a really nice map. Had a lot of fun playing it. Had a blast playing through this! Died a bunch at the boss, but eventually won. Great job! That might be the best SSG I've ever used. I was expecting lots of black and purple from the screenshots, so when the rainbows came in, it was friggin magical. I have no idea what I just played, but it was quite the experience. Loved the creativity that went into this! Only nitpick I really have is that the Imps have abit too much HP. But maybe that just me being used to one shoting Imps all the time. cool little romp, I like the aesthetics and atmosphere of it. took me back to void.wad a little bit which is nice considering that was always one of my favorite wads just for it's dark, psychedelic atmosphere which this nailed well too. I do have a few criticisms though. too linear and platform-y. I had the same complaints about void.wad. I like nonlinear exploration and I really don't think doom's physics work well for any kind of platforming. Like void though, compensates well with atmospheric appeal. Also I think it would really add an extra psychedelic touch if everything color cycling wasn't color cycling in sync. Just imagine something like a waterfall tower cycling through a rainbow like phased lighting all on it's own independent of everything else in the area. then imagine if several bits in a big open area were doing the rainbow cycle, in sync with other bits around you but all out of sync with the others.